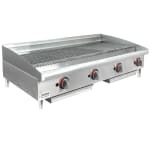 The Toastmaster TMRC48 charbroiler has a U-shaped burner every 12 inches to provide even heat. Radiants distribute heat from the burners to the cooking surface. The grates are made of cast iron to support commercial use. They are adjustable to level or slanted positions, and since they are reversible, the grates can be used for a variety of applications. Integrated splash guards collect grease splatter and food particles, minimizing messes on the countertop. 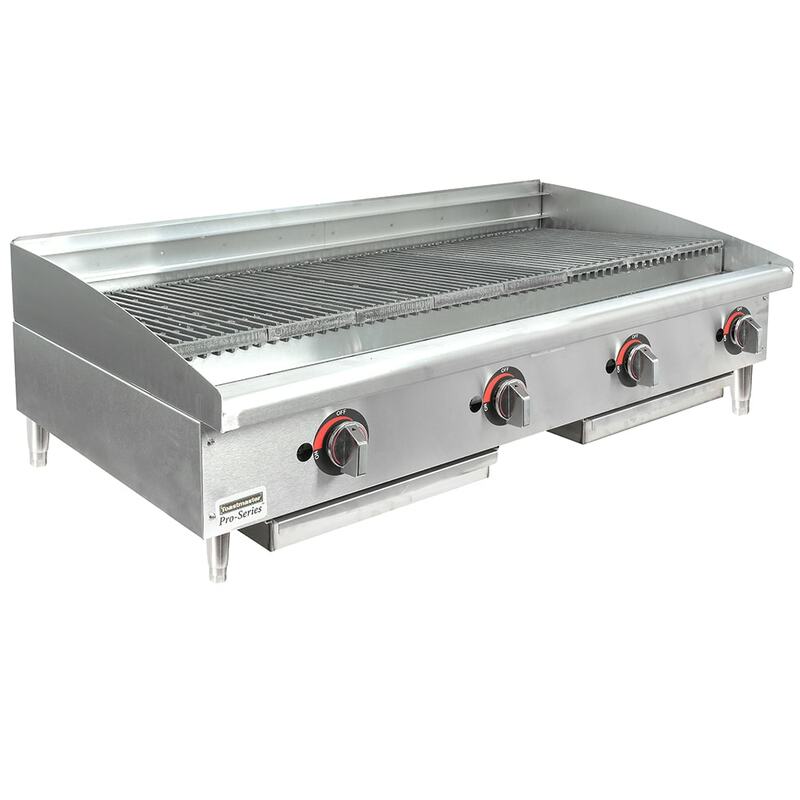 This Toastmaster TMRC48 charbroiler has 4-inch legs that adjust on the countertop. You can learn more about charbroilers by visiting our charbroilers buyers' guide.